The date goes in the lower right-hand corner. Most title pages use standard Courier 12-point font. Some screenwriters include their WGA registration number on the title page. This is not necessary — including this does not offer any additional protection. For TV, title pages will usually use the show’s official artwork as the title. In addition, the title page will include the episode name and number, the director’s name, the draft, and sometimes the shoot date and air date. 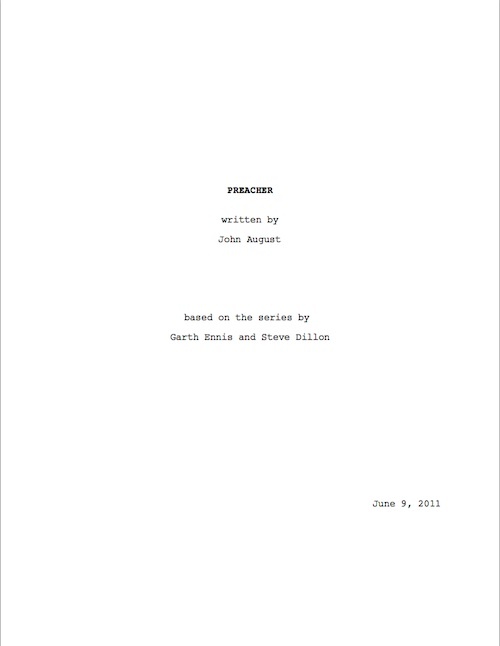 Sample title pages can be found on the scripts in the johnaugust.com library. What belongs on a title page? Should I fudge the date on the cover?